Now this is a question that we get asked time and time again and the answer depends on a number of things but there’s no set answer to begin with. It will very much depend on how fit you were before pregnancy, how active you were during pregnancy, the circumstances of your pregnancy and labour and how well you’ve recovered in the first few days or weeks after giving birth. Usually the guidelines are you can start exercising from six weeks from a regular delivery minimum and usually around 13 weeks minimum after a c-section. However, there’s no definitive answer as several factors come into play. Also, by exercise, we don’t just mean jumping straight back into what you were doing pre-pregnancy. We mean exercise in the sense of slowly rebuilding your core, regaining your posture alignment, and gradually improving your levels of fitness. After all, you have just grown a tiny human, you’re amazing body needs time to recover. Pregnancy takes a huge toll on your body, and you’re left with a body that sometimes can feel a little bit broken. A lot of women say to us after giving birth, “I just don’t feel like this is my body anymore, and I feel really unfit,” and at the moment that is completely normal. I know I felt that exact same way too after both my babies. What is really important at this time is that you let yourself be a beginner and don’t try to do too much too soon. After pregnancy, it’s common to have weaker core muscles, weaker pelvic floor, reduced range of motion at joints, your posture nay be out of alignment and this is one of the key areas to focus on initially. Let’s say you have rounded shoulders or your pelvis is out of position, which it most often is after pregnancy, when you do any type of activity or any type of structured exercise you will be doing it most likely in the wrong way. Any squats, lunges, pushes or pulls, that you do with misaligned pelvic, shoulders etc won’t be performed correctly at the moment, and this could result in injury. That is why effective postnatal training needs to be specific. It is so easy to be tempted to join in the local fitness class that “welcomes mums” or the local bootcamp promising to “get your pre-baby body back” but the problem is, usually these are just general exercise classes and not specialist in Post Natal fitness. Unfortunately, adaptations of mainstream exercises or lower intensity versions won’t address specific pregnancy related issues in most cases. 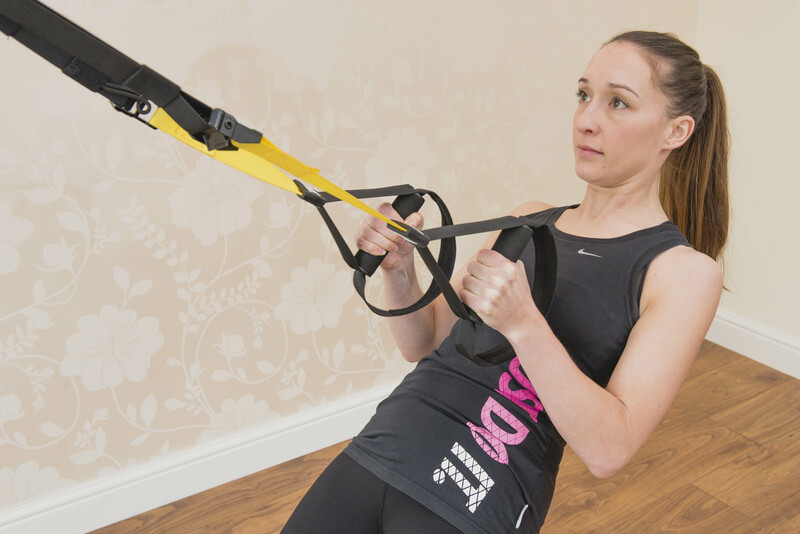 At the moment you may have weakened abdominal muscles or even separation of the abdominals which needs addressing with a specific training programme. You might be leaking a little bit of urine when you laugh,cough, sneeze or jump and you need specific exercises that actually target those areas and help to improve them, rather than just adaptations of other exercises which often make it worse. We see women who go straight into mainstream mass participation classes and end up with sore knees, sore hips, public symphosis dysfunction problems, hernias, torn ligaments, sprains, strains, torn muscles, some with c-section complications because their scar hasn’t healed internally correctly, and these issues occur because they’re performing exercises that their body just isn’t ready for at this moment…..but it’s not to say it won’t be in a few months after getting the foundations right first. Well actually, no it’s not, because if you are leaking urine when you perform any kind of exercise that tells us that you have a dysfunction in the core. So either pressure down on the pelvic floor, pressure out on the abdominal wall, pressure up against the diaphragm causing you to leak urine because there is an imbalance somewhere. Now, its very common and in fact 1 in 4 women will suffer some form of pelvic floor dysfunction – but it’s not normal. In that we don’t mean you are abnormal, we mean that it doesn’t have to be accepted and there are lots of things that you can do to correct it. The Mummy Tummy Method is designed to help correct those imbalances so that you can jump on the trampoline with your children without having to worry about leaking. It will enable to join in a mass participation exercise class further down the line without having to sit out of the high intensity stuff or resort to wearing Tena Lady. We cannot stress the importance of finding specialist post natal trainers after having a baby – we know how much women want to get active again, get out of the house and find their fitness after having a baby but please – check out your instructors are qualified first.